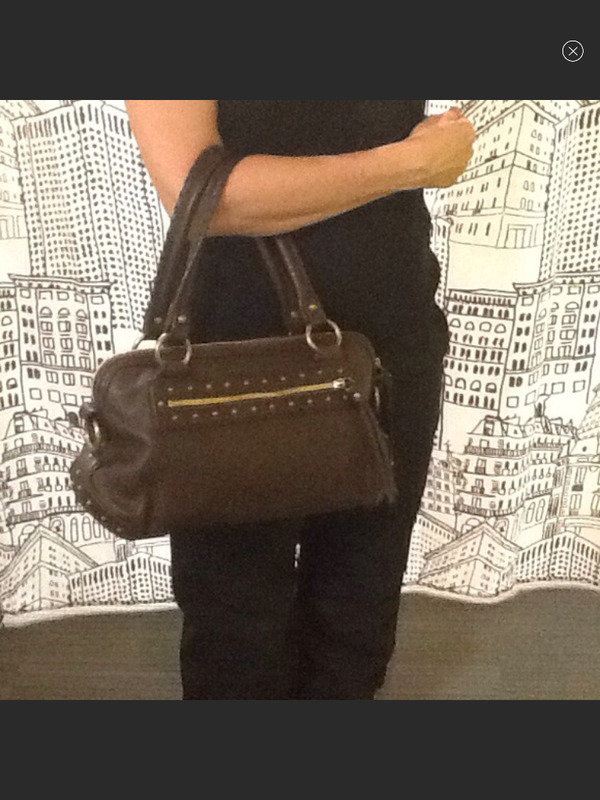 All leather brown MK bag with brass studs. EUC. No wear, even in the corners. The inside is lined with linen and has a water mark.